It's a Mom Thing Reviews & More! 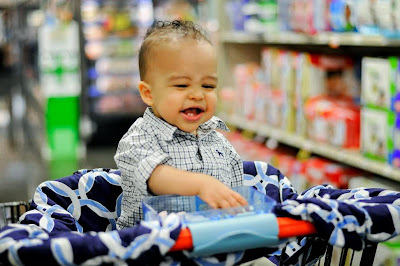 : Make Shopping with Children Easier with Snap & Shop! 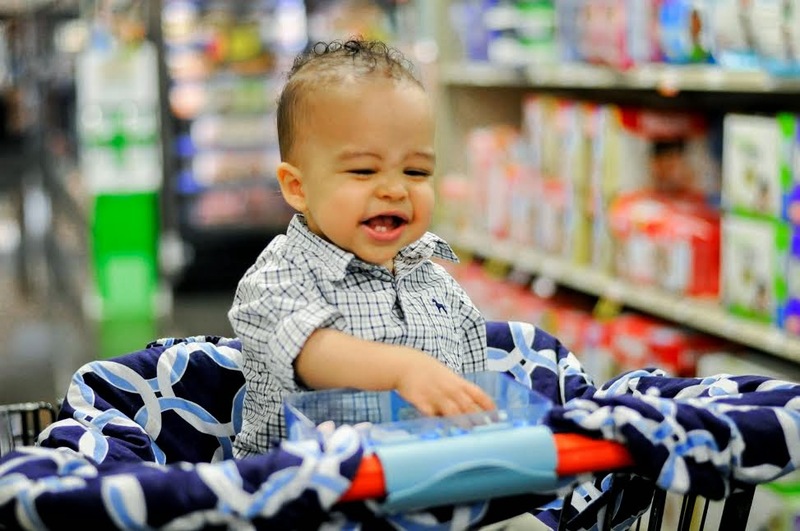 Make Shopping with Children Easier with Snap & Shop! *This is a sponsored post by Snap & Shop. I received monetary compensation for this post. Every time I would go food shopping with my daughter when she was younger I wished that I had more hands! The second that I would get her into the shopping cart she would start asking me for a snack. Between picking out groceries, organizing coupons, and helping my daughter with snacks it was complete chaos, and honestly frustrating. Something needed to be a little bit easier and now it could be with an amazing product called Snap & Shop! Snap and Shop was created by a real mom who thought that there could be a solution to a real problem that moms face. 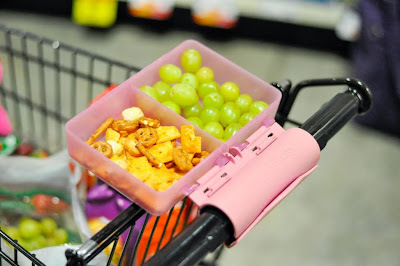 Forget the days of snack bag contents spilling everywhere or helping little ones get snacks out of tricky snack containers while juggling other things in your hands. Forget having a purse full of different snacks in tons of containers. Think one container that is easy for children to use. Snap & Shop makes food shopping easier for you and your children! Snap & Shop has a patent pending designed handle grip and flexible arm to make sure the snack tray stays secured to the shopping cart handle. It is also small enough to fit into your bag and allows you to conveniently refill snacks. Snap & Shop is BPA free and easy to clean with wipes or in the sink, and is also dishwasher safe! Snap & Shop is also compatible with shopping cart covers! Watch the video below to learn all about Snap & Shop! Snap & Shop is now ready for production and you can help fund it! Not only will you get your Snap & Shop but there are other rewards that you receive for helping fund Snap & Shop! I want to make food shopping easier for other moms, I hope that you do too! Visit Snap & Shop HERE! "Like" Snap & Shop on FACEBOOK! "Follow" Snap & Shop on TWITTER!